Gone are the days when book writing was just a job for professional writers or a work of literature. With the recent explosion in online publications and the easy availability of professional ghostwriting services, anyone can be a published author. 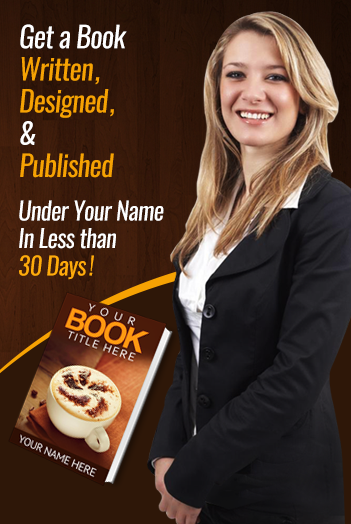 Now you know that you can write your own book or have your own book written with ease. But just having the ability to do something does not offer anyone enough incentive to actually do it. You need to know exactly what the benefits would be. Today’s business is all about offering value to your client even before you offer a product or a service. And there’s no better way of doing that than offering them a free eBook. Books are also great for those who are trying to establish themselves as experts in their niche. The more books you have under your name, the better your credibility would be in the eyes of your audience. When it comes to digital marketing, content is king. Every kind of business imaginable is making strides in content marketing. Writing blogs and articles is a great way to reach your audiences. But the only way to win them over is through a well-thought, well-crafted, well-marketed eBook that offers actionable tips on some of the problems your clients may be facing. For many, books are a way to promote their businesses which, in turn, brings in revenue. For others, publishing books itself is a source of revenue. It always has been and it always will be. People write books to earn money through sales. This is why many are choosing to self-publish through Amazon so they can keep the lion’s share of profits for themselves. If you don’t have the time or can’t invest the effort to write a book, don’t worry. Contact us for professional ghostwriting services at affordable rates.